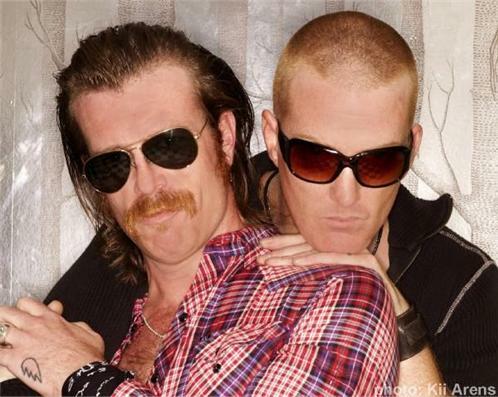 Eagles of Death Metal is an American rock band from Palm Desert, California, formed in 1998 by Jesse Hughes and Josh Homme, who are the only permanent members of the band, though Homme rarely plays live shows because of commitments to other bands. There are also a wide range of other musicians that play under the Eagles of Death Metal moniker, both on the albums and in live shows, frequently under humorous aliases. 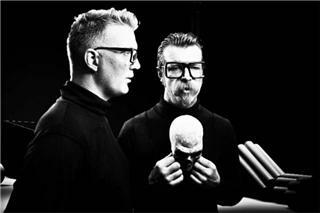 Despite their band name, Eagles of Death Metal is not a death metal band. Hughes stated that a friend was introducing Josh Homme to the death metal genre. When he played a song by the Polish band Vader and made a claim that the song was within the death metal genre, Homme then referred to Vader as "The Eagles of Death Metal". After hearing this phrase, he wondered what a cross between the Eagles and a death metal band would sound like. In a 2003 interview Homme described the sound of the band as a combination of "bluegrass slide guitar mixed with stripper drum beats and Canned Heat vocals." 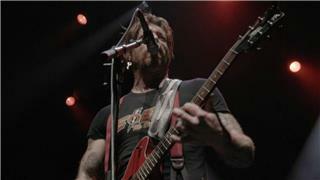 Jesse Hughes is known for his enthusiastic interaction with audiences at live performances.